Below you will find listed some of the driving lesson questions which are often asked. If you have any other questions then please contact us and we will be happy to answer your driving lesson questions. You can apply for your provisional driving licence up to 3 months before your 17th birthday (16 if you are registered disabled). You can apply using the relevant form from the Post Office or the easiest way is online Apply for licence here. The cost of your provisional Licence is £34 as of February 2015. All you need to bring on your first lesson is your driving licence, payment for the lesson and also remember to bring any glasses or contact lens’s if you need them. Will i drive on my first lesson? Yes you will. We will go to a quiet area where you will be able to familiarise yourself with the car and its controls. At the end of the first lesson you should be able to move off in the car and come to a stop by the kerb. 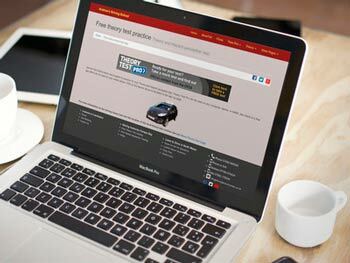 When should I take my theory test? What if I need to cancel a lesson that has been booked? You need to give at least 24 hours notice to change or cancel a driving lesson, or you may be charged by your driving instructor. Can you book my practical test for me? Yes, as long as you have already passed your theory test we will be happy to book driving tests for our pupils. What car will I be using for my practical driving test? You will use the same car for your test that you have been having your lessons in. Can i start lessons before taking my theory test? Yes that is what most people do, having a few lessons first tends to help with the theory test. We usually recomend taking your driving test at the test centre nearest to where you have your lessons, this is usually Bangor or occasionally Rhyl, there are also test centres in Bala Pwlleli Wrexham and Chester.